Back in 2016, Bulgari unveiled the Octo Finissimo Minute Repeater, the world’s thinnest minute repeater, with a case that measured a shade under 7mm. Radically, instead of using precious metals most commonly used in minute repeaters such as pink or yellow gold, Bulgari chose titanium for both the case and dial, benefiting its acoustics to to titanium’s low density. 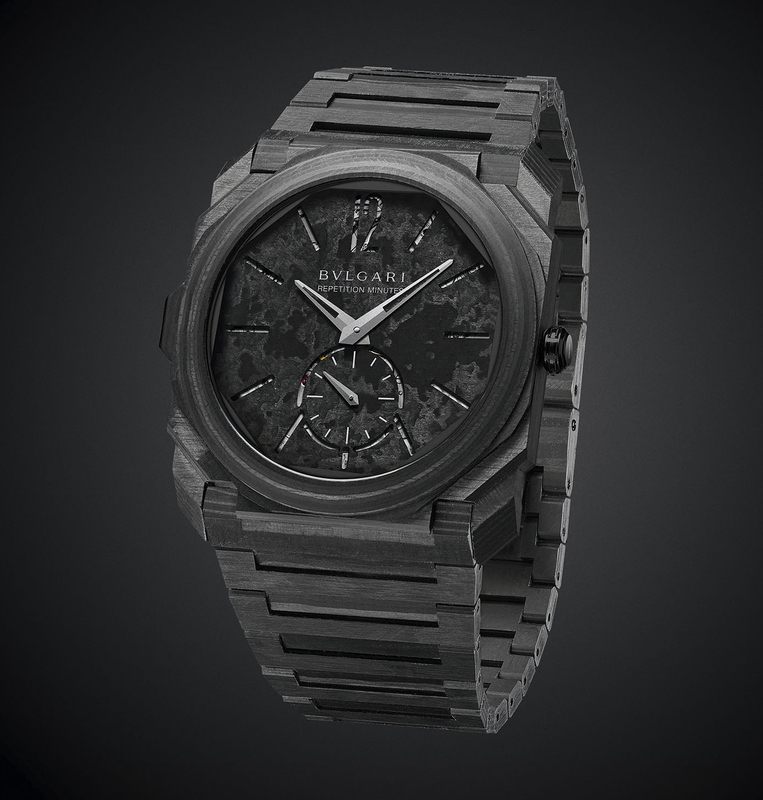 At Baselworld this year Bulgari took the covers off a carbon composite version, with the case, bezel and case back made from Carbon Thin Ply (CTP), a carbon reinforced, thermo-set epoxy resin. Apart from its unique and distinctive appearance, carbon composite offers stiffness and strength at a low density, which essentially means it transmits sound well. The case measures the same 40mm wide and 6.85mm high as the titanium version. The dial is also made of CTP with the same incised indices that serve to amplify the resonance of the cal. BVL 362 beneath. The BVL 362 is based on a 1981 Gerald Genta movement so was so thin the resulting watch set the record for the thinnest repeating wristwatch ever, just 2.72mm high. Its slimness meant it wasn’t particularly robust, which is why the BVL 362 has been fortified and is slightly thicker, but still a mere 3.12mm high. 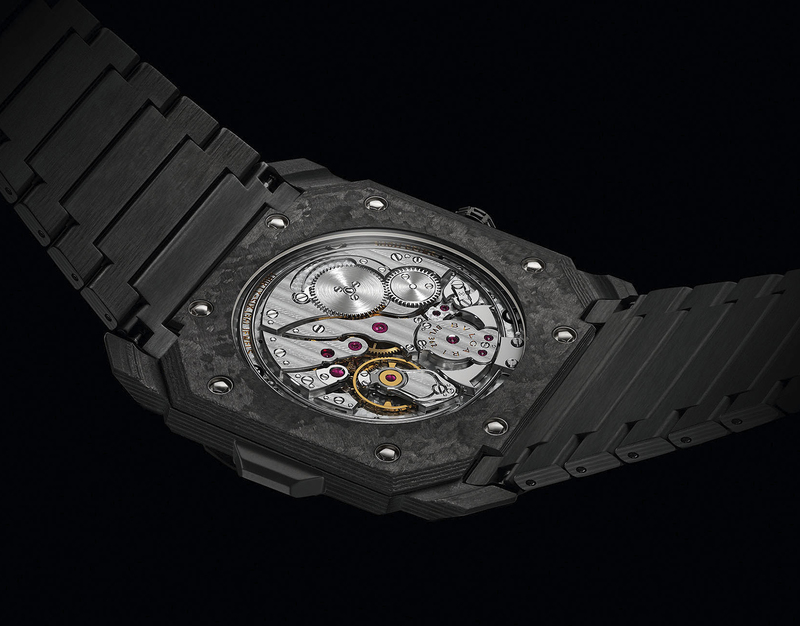 Notably, the gongs are directly affixed to the case, instead of the movement as is convention, for optimal sound transmission. It uses a flat-spring barrel, as well as a floating crown wheel and mainspring barre, which are suspended on one side. The centrifugal strike governor itself has a total diameter of just 3.3mm. The bracelet, however, is still titanium, but it barely tips the scales. 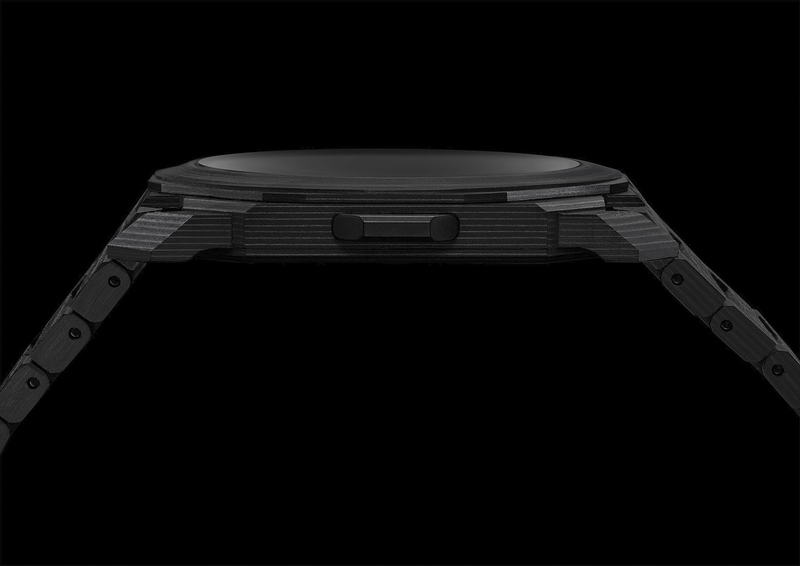 The entire watch weighs just 47 grams. 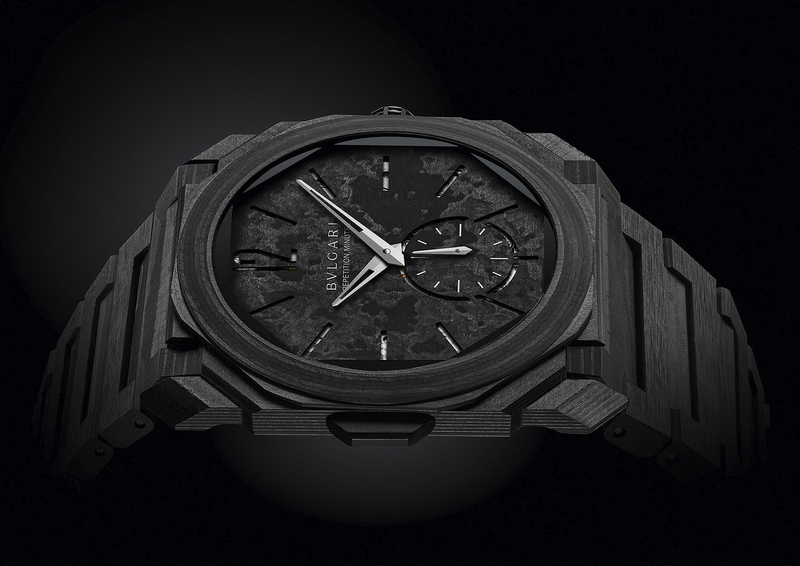 Limited to 50 pieces, the Bulgari Octo Finissimo Minute Repeater in Carbon is priced at US$160,000. It will reach stores after summer 2018.